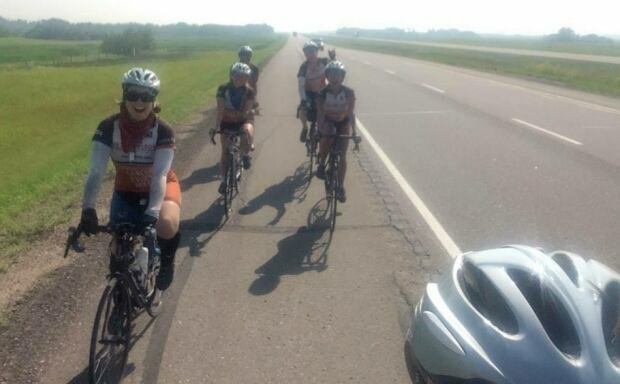 As a group of American university students rolls into Saskatoon, part of an epic journey to fight cancer, Saskatoon woman Heather Bonynge reflects on how she was inspired by the students following her own cancer diagnosis. The 2016 Texas 4000 is a 70-day cycling journey which takes three separate routes from Texas to Alaska to raise money for cancer research, treatment and support. Every year, the program competitively selects University of Texas students for the 18-month program, during which each student aims to raise $4,500. The ride takes three routes from Austin, Texas, to Anchorage, Alaska, covering more than 6,400 kilometres (or 4,000 miles) along the way. 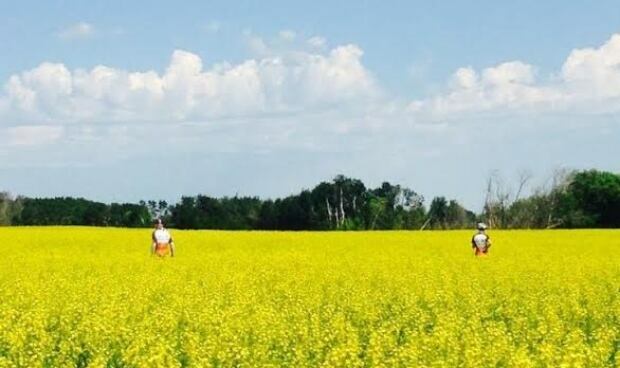 On Sunday, the riders roll into Saskatoon where they will be greeted by Mayor Don Atchison at an event at Christ Church Anglican at 7 p.m. CST. Bonynge connected with the program when it passed through the city in 2014. She was diagnosed with cervical cancer in 2008, four-and-a-half months after the birth of her daughter. When the Texas 4000 group was in Saskatoon two years ago, she shared her story with the students and learned more about why they were involved in the fight against cancer. Bonynge was particularly moved by a conversation with a student who lost her mother to cancer when she was seven years old. “She came up to me afterwards and thanked me for sharing my own story because she got the opportunity to hear it from the perspective that she probably thought her mother would have talked about her own cancer experience,” Bonynge said. She and the student still stay in contact on social media, having made a lasting connection through their meeting in Saskatoon. “I kind of think that had my experience not turned out as well as it did, you know, maybe I would have been in the same situation as her mom, maybe that would be a similar story to my daughter’s,” Bonynge said. Bonynge is also involved with Young Adult Cancer Canada, which received $10,000 from the Texas 4000 group in 2014. That initiative joins young adults who have cancer with their peers, giving them the tools they need during or after a diagnosis. Bonynge said she knows first-hand that their fundraising and education is making a difference. “This is a group of university students, so they are all between 18 and 23, and they’ve taken it upon themselves to make that difference,” said Bonynge.